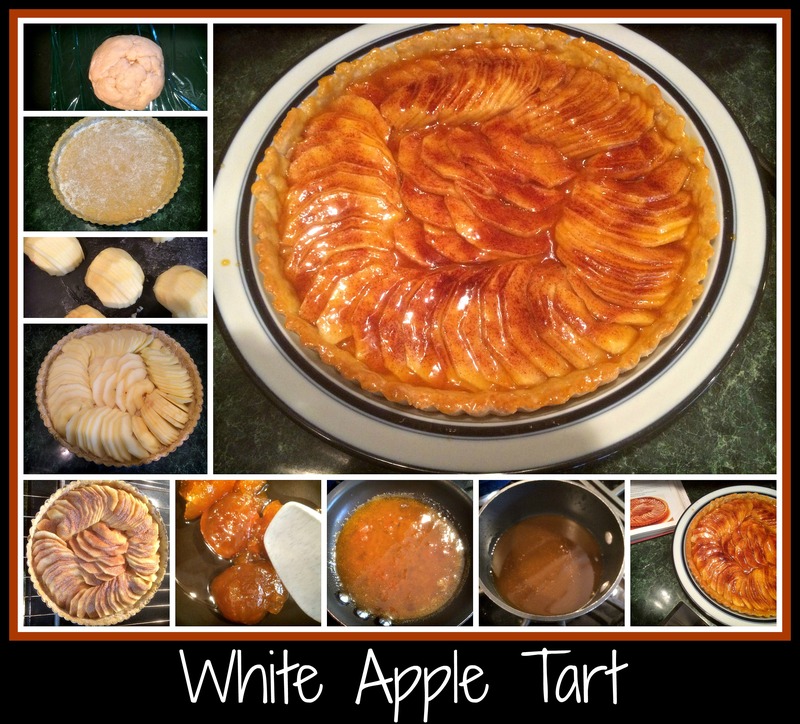 I’m sending this recipe to The Today Show for a segment by Joy Bauer on healthy apple recipes. The writing below is a bit different than my typical babbling about how to make something (I thought this might sound more professional) but I wanted to share this recipe with you all first. It’s just so darn tasty… I hope you agree! 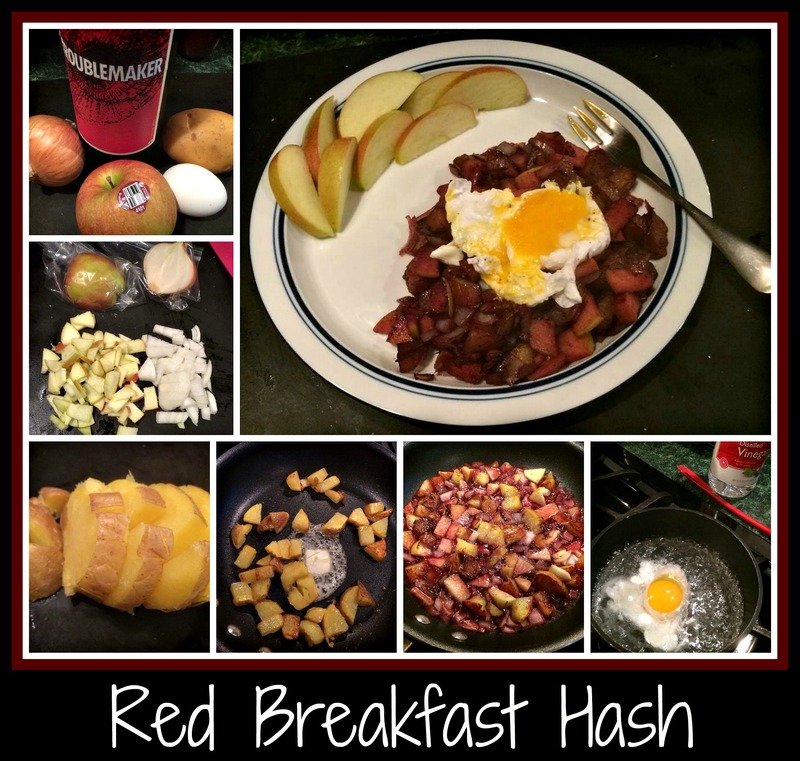 I make a Red Breakfast Hash that is a great brunch recipe – full of flavor and color! I’ve put a few variations on my wine blog (www.fromthebottomofawinebottle.wordpress.com) but this is one of my favorite offerings. The recipe can be increased or decreased as needed and it uses up any leftover baked potatoes or extra veggies left in your fridge, so it’s healthy AND a good value. Melt butter in a non-stick skillet and saute’ potato, onion, and apple until browned and a little crispy. While you’re working on #1 and #2, boil some water with some white vinegar added and drop the eggs in to poach just before your wine is totally absorbed. To serve, divide the red potato mixture onto two plates, top with the poached eggs and break the yolk to share that yummy goodness with the rest of your food. I came up with this recipe while working at a winery in VA. There’s an old joke that goes “what do you call a meal without wine? Breakfast”, so I decided that I had to fix that problem. This can be made healthier by using more of the onion/apple mixture, but I really like using a 1:1:1 ratio so the flavors are easily recognizable. You can also add sautee’d peppers into the mix, if you’d like. If you’re not a “poached egg fan”, feel free to fry the egg or simply use Fat-free egg substitute as your egg choice. Note: the photo mashup I included was created on Picmonkey, using iPhone photos of the food in various stages of creation. I like to use these on my website to entice people into trying to make my recipes, since they tend to be fairly easy and enjoyable to make. I absolutely love making stuffing. I don’t make it only for Thanksgiving and Christmas, but those are the two times when I make a massive amount and want to use it in sandwiches and leftover meals for a few days. It’s just so incredibly tasty! I start making the ingredients for my stuffing a day or so before I actually put everything together for the meal. It’s easier to cook the sausage a few days in advance and, since I bake the stuffing bread (see previous post) for most of my stuffing, that *has* to be done earlier. I start two or three days ahead and bake a loaf of bread, then cube it and allow it to dry on a tray. NOTE: Make sure to let your family know that you’re starting your holiday meal prep or your drying bread may get a little toastier than you expected. The sausage can be cooked two to three days ahead and kept in the fridge – I like to rinse the sausage once it’s cooked to remove an excess fat, but that’s simply because the cooled fat grosses me out. Salt and pepper to taste, herbs as you want * I like to add some poultry seasonings (both ground and dried) and parsley. Melt margarine into the liquid, and cook the turkey liver. Once the liver is cooked, add this mixture to the celery and onion and blend until everything is well pulverized. I use a Stick blender (immersion blender) in a high-sided bowl until everything is totally incorporated and all the veggies are unrecognizable. Add bouillon packets to the liquids and stir to combine. Add your liquid to the bread mixture, top with the two eggs, and use your hands to incorporate everything into the stuffing. Add salt and pepper as needed and use the third egg if the stuffing doesn’t hold together well. NOTE: Take your time with this step and make sure to taste the stuffing as you are blending. As my mom always said “if it doesn’t taste good raw, it won’t taste good when it’s cooked”. This may seem gross, but the nuances in taste as you add a little more salt or extra parsley will make the difference between a stuffing that tastes good and one that knocks your socks off. We’re going for the “knock your socks off” taste here. Once the stuffing is done, stuff the turkey everywhere you can find space. I use the neck cavity as well as the body of the turkey. I’ve also taken to layering stuffing under the skin, on top of the breast meat and between the body and legs of the bird. This seems to add to the moist taste of the meat when you carve your turkey. 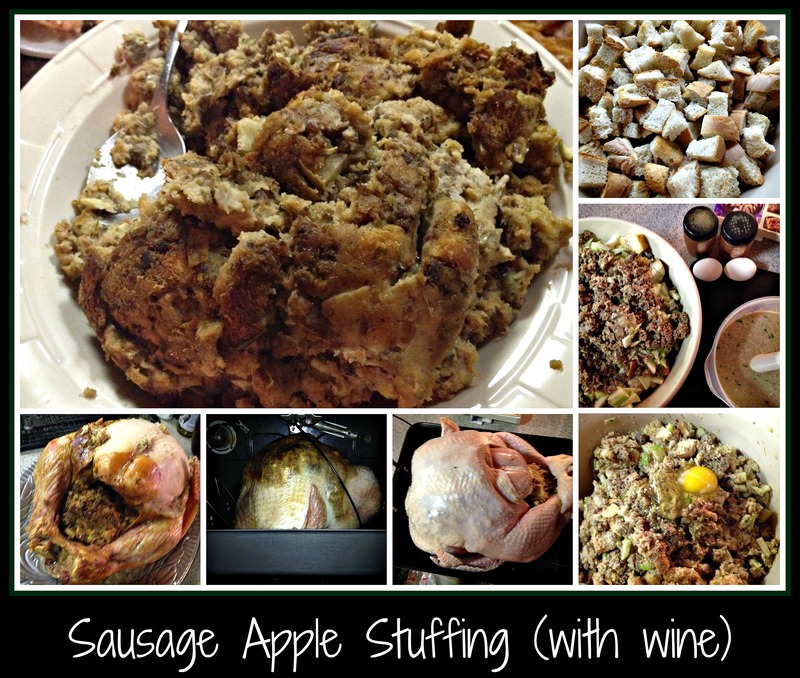 ‘Tis the season, so I’m sharing a bunch of my family’s favorite holiday recipes with you. This recipe is my younger son’s favorite addition to our Thanksgiving line-up. 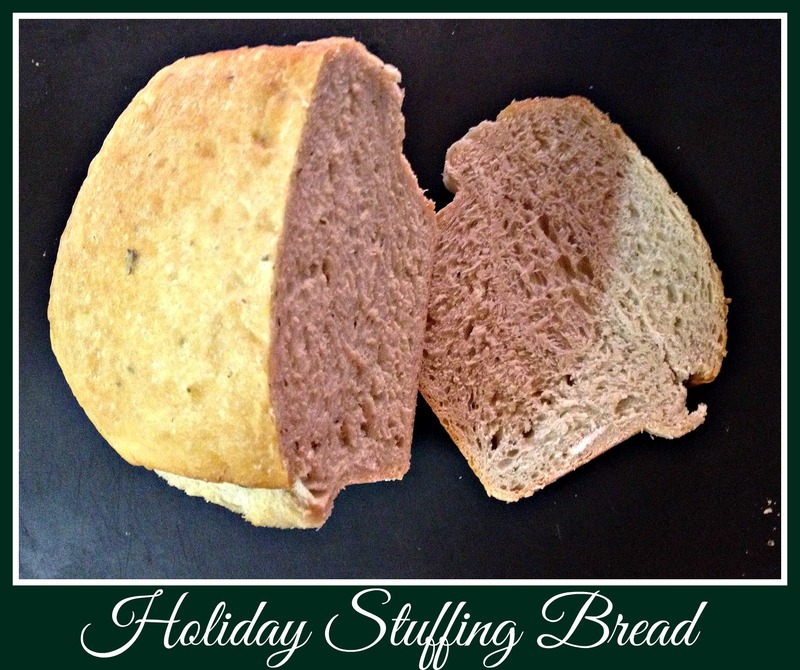 It’s a twist on a traditional Italian bread recipe that I had for my bread machine… I usually make a loaf or two to use in the stuffing I make for inside the bird and then have extra available for sandwiches and snacking. You know you have a winner when your son asks for this specific recipe, right? Since you know that I use The Force when I cook, it shouldn’t come of much a surprise to learn that I also use The Force (cautiously) when I bake. I understand that baking is a science, so I don’t mess with ingredients too much, but I do like to add seasonings to things whenever possible. Wine is a fun way to add flavor to your baking, as are things like bouillon packets and random bits of herbs. The following bread recipe is my “jumping off point” – occasionally, the dough is either a little too moist and I have to add some flour before baking or it’s a little dry and I add a touch of liquid until it all comes together. I love using my Zojirushi bread machine to make the dough, so my recipe utilizes this helpful appliance. If you have a bread machine and don’t use it often, you’re missing out on something that really does save time and effort! These ingredients are listed in order of addition in my bread machine. I use the flour to keep the liquid from starting the yeast too early but I *do* make this on the “dough” setting so I can then remove the loaf and bake it in the oven after letting it rise until doubled. I try to follow standard cooking directions, when I remember, but there are times when I get distracted and just pop the bread dough into a hot oven to bake… those are the times when I’m left to the “thumping the loaf” method of checking to see if the bread is done. The wine seems to give the dough a more chewy consistency and all the herbs and seasonings bake everything together into something so delicious. I realize that it’d be so much simpler to just buy a few loaves of bread for stuffing, but I’m grateful to know that my family appreciates all that goes into making a big holiday meal. I hope you try this recipe some time… it’s also a great addition to your leftover sandwiches! Happy Thanksgiving! 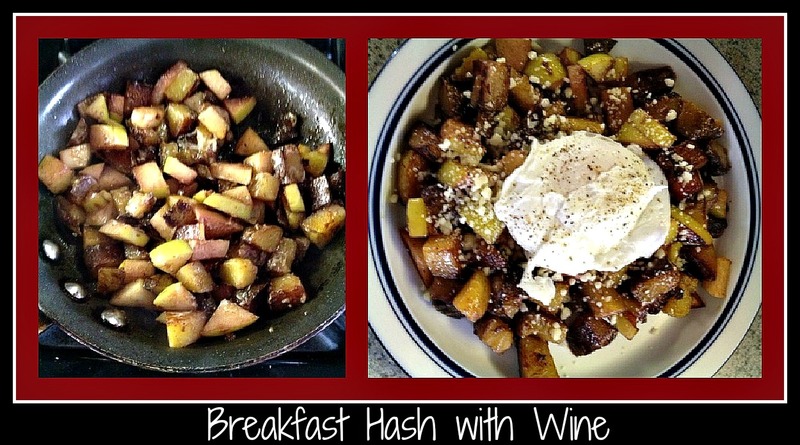 People have been joking with me for years about pairing wine and breakfast… so that’s been my latest challenge. To create a tasty breakfast food that somehow incorporates wine? I couldn’t imagine it… until this morning. I started with a pre-baked potato. I diced the potato and began to saute it in a mixture of olive oil and margarine. As it browned, I diced about 1/3 of a granny smith apple and added that to the pan. In the meantime, I boiled water with a bit of white vinegar to cook a quick poached egg. The picture on the left is of the potato/apple mixture as it cooked and browned. To add a kick of flavor to this simple dish, I added 1/4 cup of James River Cellars Petit Verdot as well as a spoonful of House Sauce (from Take It Away in Charlottesville. Note: this sauce can also be found at The Cheese Shop in Williamsburg). The wine added a lovely tinge of pink to the potato and apple pieces and the House sauce brought its own smokey mayonnaise touch. Using both in combination created a wonderful flavor that otherwise might have relegated this dish to the “ho-hum” list. As I plated my breakfast, I sprinkled the potato/apple mixture with 1T of Asiago cheese crumbles. I gently laid the poached egg on top and added a bit of cracked pepper. It was amazing. Nothing is “out of bounds” when it comes to cooking… try it and see how you like adding wine as a flavoring agent. You might be inspired and totally surprised with a new favorite. I certainly did!